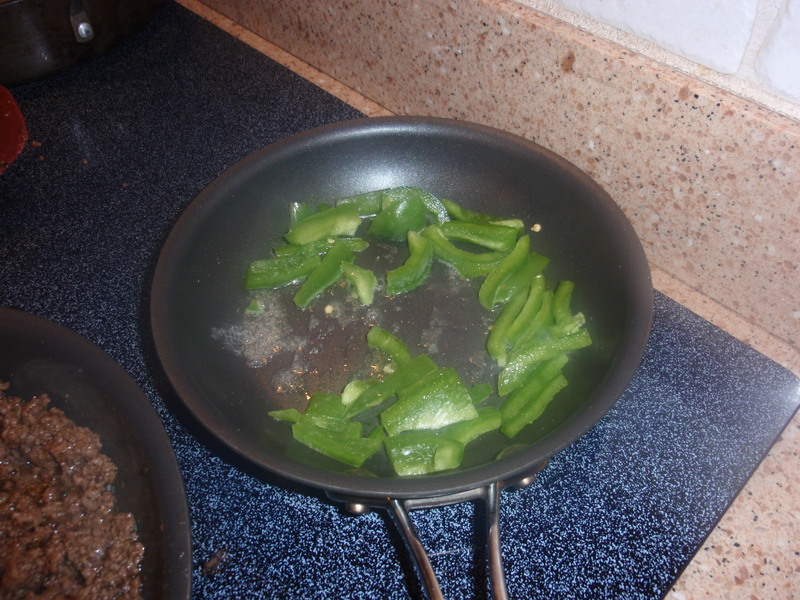 I usually try to plan all our meals at least a week in advance, but there is always one night that something doesn’t go as planned and I need a quick, healthy meal. My go to meal is tacos. 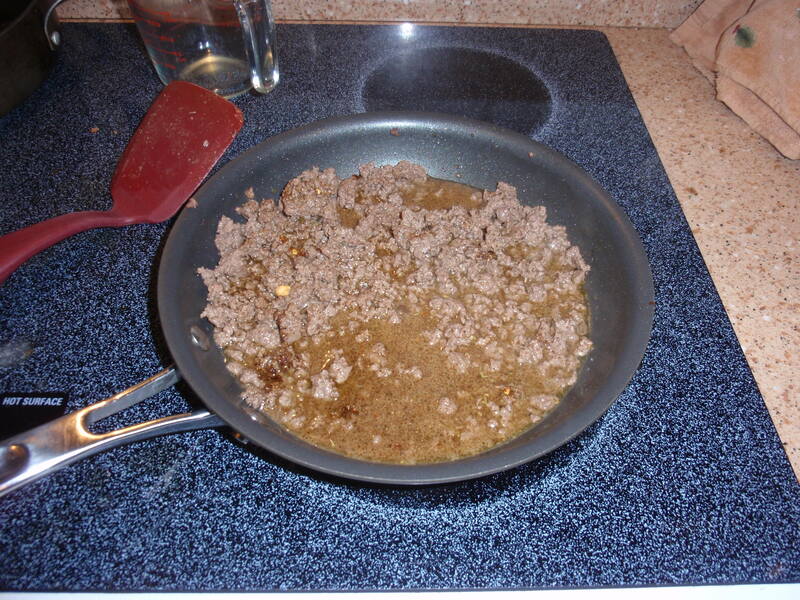 I usually have plenty of items around to use as toppings and of course ground beef is never in short supply around here (if you need to order, give us a call). 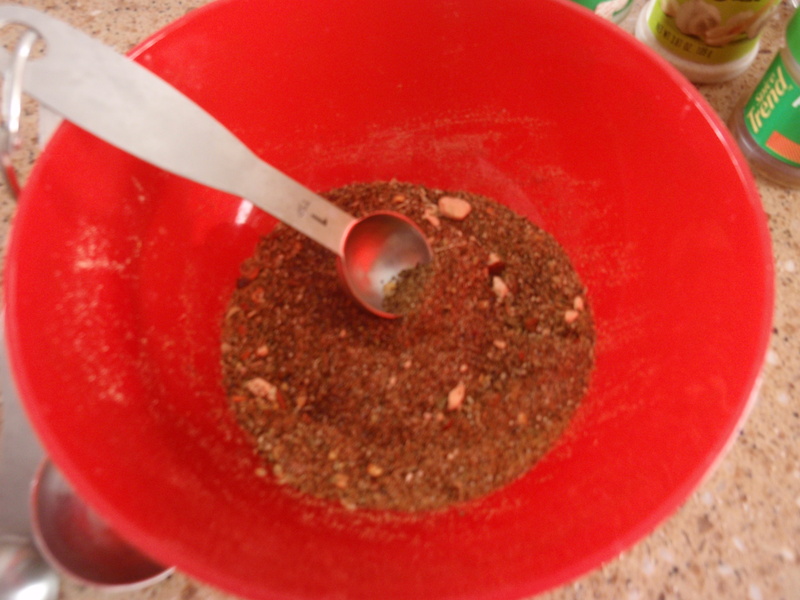 I have started making my own taco seasoning to cut the salt and others “extras” I don’t want to be feeding my family. 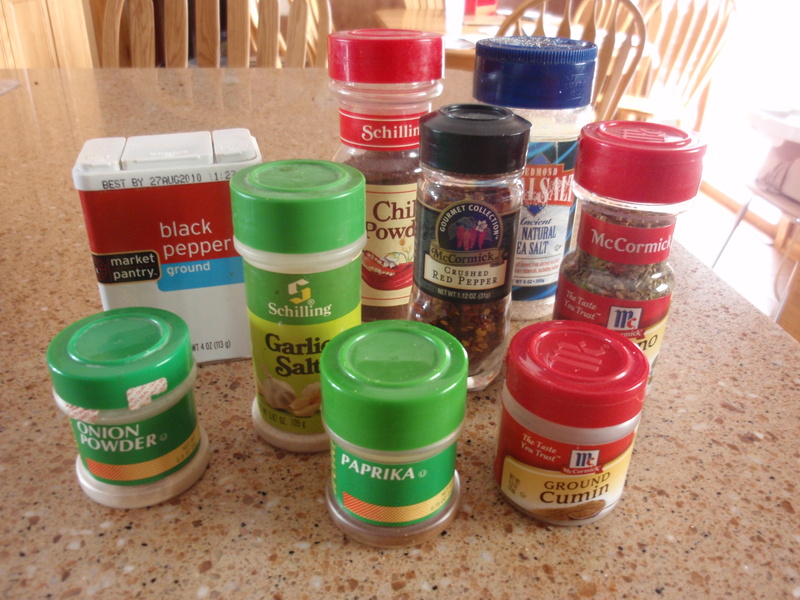 Mix all the ingredients together and store in an airtight container. 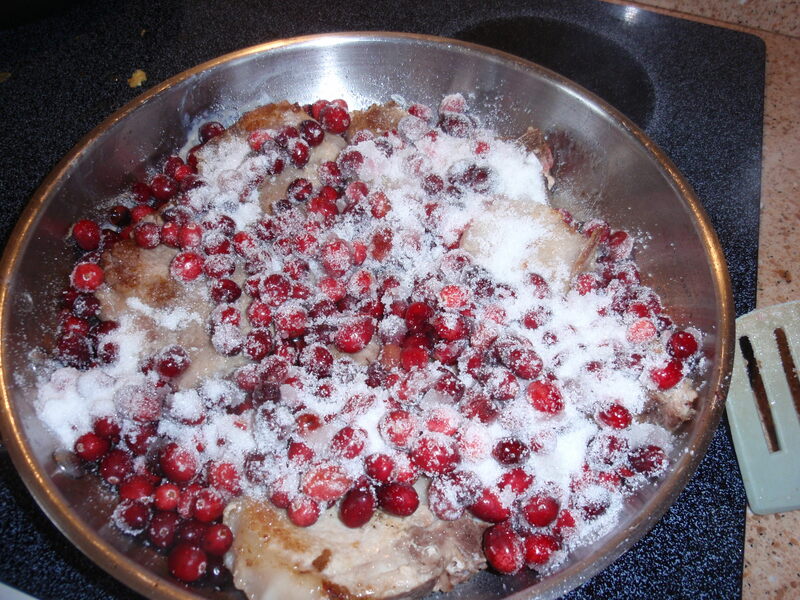 This recipe will be enough for 2 lbs of taco meat. Serve and enjoy with a large glass of Organic Valley milk. 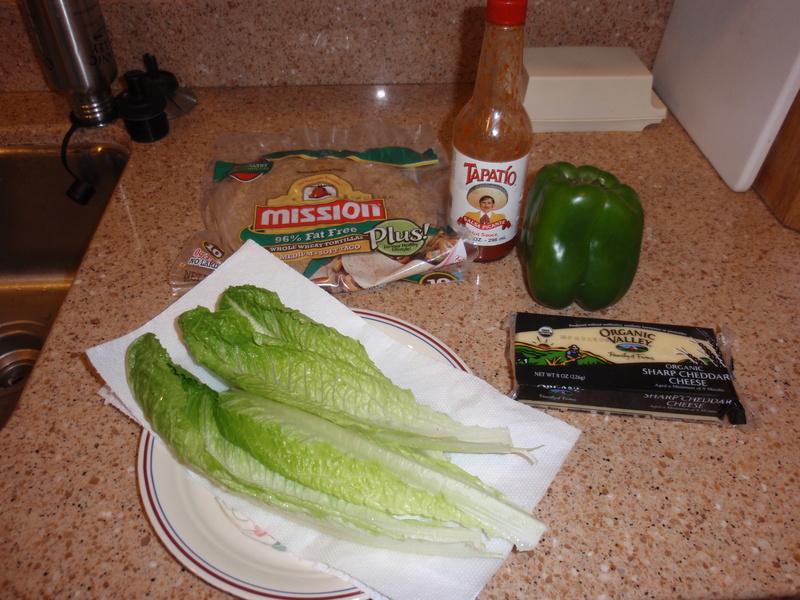 Our kids love making their own tacos and will even add veggie toppings they don’t normally eat. Our two year old likes to eat a nacho instead of a soft shell taco because it is easier for him to handle. Side note: This is the last day to vote for Tim in the Carhartt Tough Contest. Vote now and often before midnight. I soooo wish I could enter to win this contest. Organic Valley is offering you the chance to win a culinary scholarship to Quillisascut (Quil-li-sas-cut) Farm School of the Domestic Arts™ or a years worth of Organic Valley products. In 2002 Lora Lea and Rick started the Quillisascut (Quil-li-sas-cut) Farm School of the Domestic Arts™, “We want our farm to be a place where people can learn together, to understand where their food is coming from,” says Lora Lea. The Misterlys’ vision for the farm soon encompassed the larger community of farmers, chefs, restaurateurs, and others who have a place in the farm-to-table continuum. Lora Lea and Rick want to show us the intricate web that links producers and consumers with the land. The School offers participatory education about where food comes from, changing the way people cook and eat for a better food future. 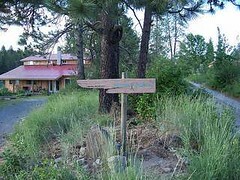 Retreat participants will stay in the farm school, with bunkhouse-style lodging, shared bathrooms and a professional kitchen. Can you see why I love the sound of this place? As Organic Valley loyal customers you have the chance to win a trip of a lifetime. Organic Valley is even throwing in up to $1000 for travel. Awesome. Wait there is more, for every entry, OV is donating $1.00 to the Heifer International’s More Organic for Everyone program. So it doesn’t hurt to enter several times. It would be neat if one of our blog readers won this trip. If you do, you will need to take lots of pictures and tell me all about it! Even though I cannot win the trip, I can ask for their new cookbook “Chefs on the Farm”for Christmas. Hint, Hint. To enter, visit the Organic Valley website at this link. I am excited to let you know about an offer to win free groceries for a year from Minnesota farm families. This contest is being sponsored by the Minnesota Department of Agriculture, Minnesota Farm Bureau Federation and ten other agriculture commodity and industry groups in our state. Our family is proud members of the Minnesota Farm Bureau Federation (MFBF). 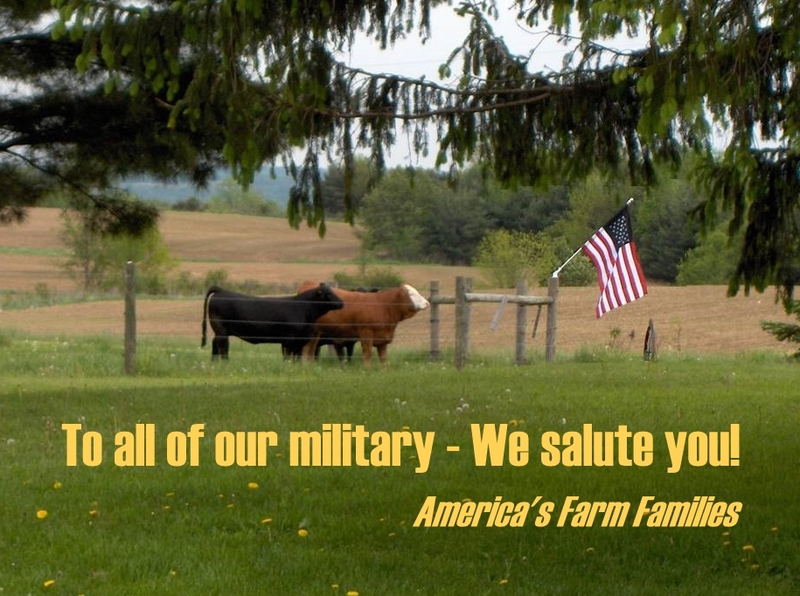 MFBF is a grass organization of farmers who are working to preserve, promote and strengthen American agriculture. We also pay check-off dollars to Midwest Dairy Association and Minnesota Beef Council. Farmers Feed Us is now growing nation wide and has contests in many other states. On the website you are able to tour farms, learn new recipes and most importantly register to win free groceries for a year! Make sure to tour the farms of the hard working Minnesota farmers, but also take time to view farms in other states. It is interesting to see other operations and see the difference from state to state. 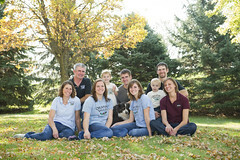 The Widboom family is one of the family farms you are able to tour on the website. Matt and Teresa farm along with Matt’s parents in Southwestern Minnesota. I first met Matt and Teresa back in 2004 when I still worked for MFBF. They are a fun couple who are passionate about raising quality crops and beef cattle. I met Charity Vold, when we both were attending South Dakota State University. Charity and Greg’s dairy operation is first class. They have a huge emphasis on consumer education and welcome school tour groups regularly to the farm. 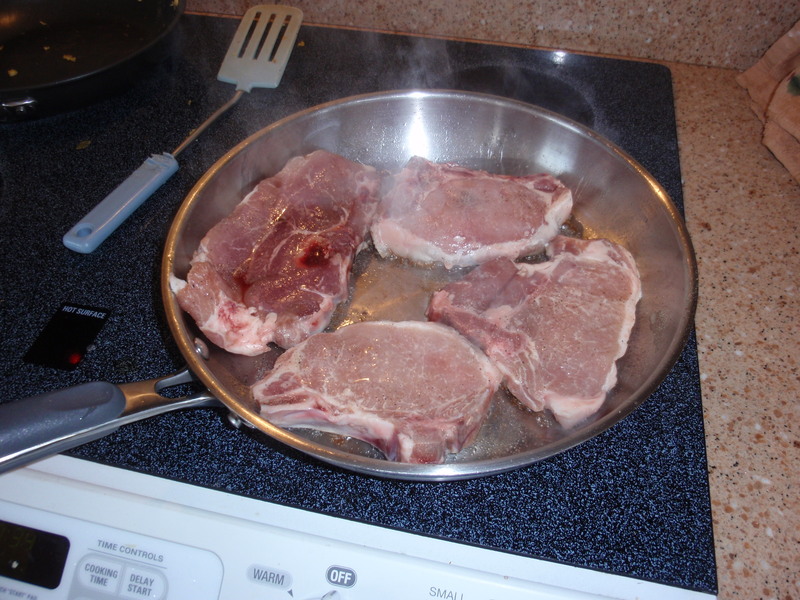 Like I always say, “if you enjoyed a meal today thank a farmer.” Every meal, whether it is a steak dinner or bowl of cereal begins some where with a farmer. I hope that you will check out the website. There is a lot to learn on it. Of course, don’t forget to enter to win the free groceries. What Would Your World Food Plan Look Like? Back in January, Organic Valley staff members Jerry McGeorge and Theresa Marquez wrote a very interesting article for the Organic ValleyRootstock magazine titled: Feed the People –or In Quest of a World Food Plan, Part One. In it they talk about the need for a World Food Plan. Often, I hear the chorus singing as farmers it is our “duty” to the feed the world. Producing more and more is the only solution given to us. I understand the numbers that show we will have to produce as much food in the next 40 years as has been produced in all of human history. I also understand that world hunger is not just a product of not enough food being produced. Economics, politics, infrastructure, climate, etc all play a role in this complicated subject. The big question is not who but how can we feed the world. And if we have an honest dialogue, there will be more than one answer… It is essential that any Plan to Feed the World must consider the conservation of resources for future generations and preservation of diversity. As we look toward the future, it is not just about feeding people. It is, as we know – people feeding themselves. We will need both SHORT and LONG TERM solutions, and they will have different goals, and they are likely to contradict each other. All forms of food production must have a role—even the tiny alternative agriculture sectors such as organic (1% of total agriculture) if we are honestly considering the long term impacts of our food production. Often organic producers are tagged as not doing our part to feed the world. We are only producing for an “elite” group of consumers. Organic producers are criticized for not producing “enough” to feed those starving populations. As by choosing to using production methods that don’t result in the most milk per cow or bushel for acre, we are forcing starvation on others. While this argument seems valid, I always have to take a step back and look at the big picture. 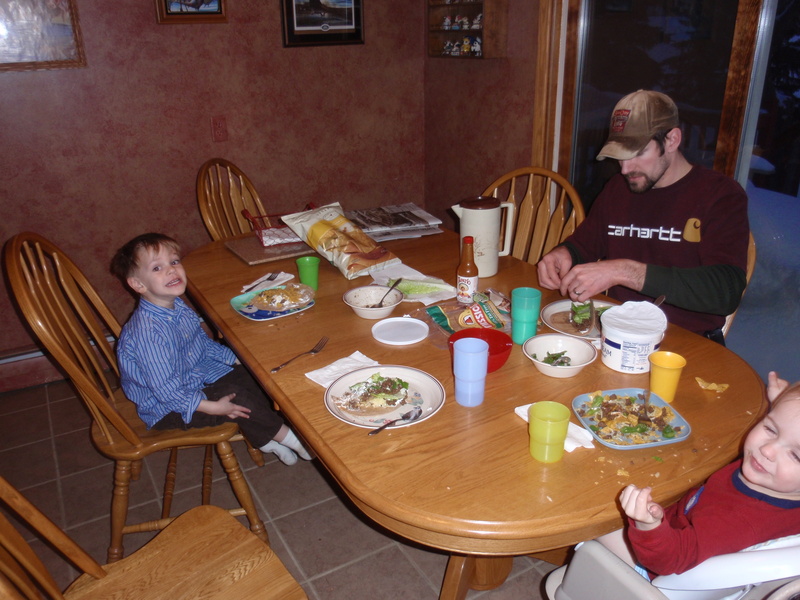 In the spring of 2007 our farm was at a cross-roads. Tim had graduated from college the pervious December and was interest in joining the operation. Also, Sarah and Steve no longer lived on the farm full-time and could no longer give of their “free” labor. The current economic situation on the farm would not allow for two families to live comfortably. Furthermore, due to county zoning and urban sprawl there would be no way to increase our herd numbers. We had two options: Downsize the herd to a manageable size for just Jon and Lisa or increase the value (i.e. go organic) of what we were currently producing and bring Tim on as a partner. Let us consider what would have happened if had we went the first option. First off, the herd size probably would have decreased to about 60 cows. In Minnesota, it is estimated that each dairy cow provides 12 off farm jobs. By decreasing our herd we would have decreased the potential of 480 jobs. Also, there would have been the lost of tax revenue from a lost of over all income. Hopefully, you are making the connection that our farm, by being organic, provides more economic stimulas and good (i.e. more jobs=more money for food= less poverty) than if we had continued to be conventional. Do I have the answers for a World Food Plan? Heck no, but I do know that the way our family choses to farm is only helping solve the hunger problem and not creating it. If by choosing to farm organically, means that a small farmer in Ecuador is able to find a market for her products and therefore feed her family and keep them out of poverty, I see nothing wrong with that. Or if a farmer in Zimbabwe is able to plant GMO corn which are resistant to drought and disease and therefore feed his family, I see nothing wrong with that. Of course I understand all the arguments against GMO technology and things are not black and white (Believe me, I have worked for organizations where I have had to defend both sides, I get it). But at the end of the day if our world’s nations are creating policy that allows farmers to farm in ways that give them a livable income while not depleting our precious natural resources and in turn create more jobs and more access to healthy foods, can we agree that this would be a good World Food Plan? What are your thoughts on a World Food Plan? Visit the Organic Valley Blog: Organic Sense and share your thoughts. I would love to see discussion by all sides and walks. We need to stop preaching to the choir and reach out to everyone involved in the solutions to solve world hunger. If our world is really going to need to feed 11 billion people by 2050, we need to get started now. Twin Cities Crop Mob Fever! This is really cool in my book, because it brings together folks of all walks that share one thing in common: a desire for a strong local food economy. As told on Cropmob.org, in days gone by farming use to be a community activity. Planting, harvesting, barn raising, etc were done by all who lived in the community. Communities were only as strong as the farms that surrounded them. When farms failed, communities failed; so everyone would ban together to get labor intensive work done. Now that farms are more mechanized and further a part, the sense of community dependency has also diminished. As farmers we have strong support from our fellow farmers, but I am sure not one person in Elko New Market feels that if our farm would leave, the community would fail. The fact is farms are still a vital part of communities. Farms provide infrastructure for off farm jobs, valuable green space, wildlife habitat and also keep food local. What is great about the crop mobs is that they bring back that sense of community. 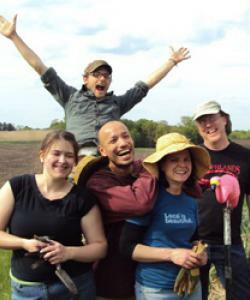 The Twin Cities Crop Mob is going to be out at our farm on Saturday, July 31. We will be clearing fence line, a job that in very important to keep our animals safe. We will also provide you a home cooked lunch and lots of Organic Valley goodies. To learn more visit the Twin Cities Crop Mob Facebook Page or the Fair Food Fight website. If you already made up your mind that this event is super cool (which it is) you can register by clicking here. We hope to see you there. This is just another awesome way that ordinary people can be a part of a very special local foods movement. A Twitter Friend of ours, Mike Haley, took this picture of his beef cattle. Think it says what Memorial Day is all about perfectly. Because of our brave and hardworking military men and women we have many blessings and freedoms. The Minneapolis-St. Paul area is blessed to have so many restaurants that use local foods produced by family farmers who live only a few hours from either downtowns. The Heavy Table blog does a great job reviewing restaurants in the Twin Cities especially those that use and celebrate food produced by local farmers. One of our favorite restaurants is Gardens of Salonica in Minneapolis. Owners Anna and Lazaros, opened their doors in 1991 and pride themselves on using local, all-natural and organic ingredients whenever possible. 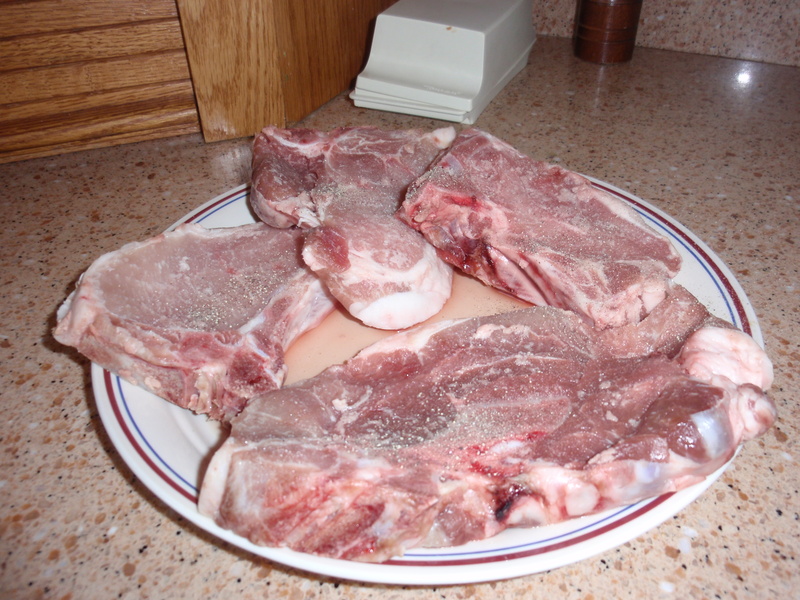 The best part is that they have been using Zweber Farms ground beef for several years now. 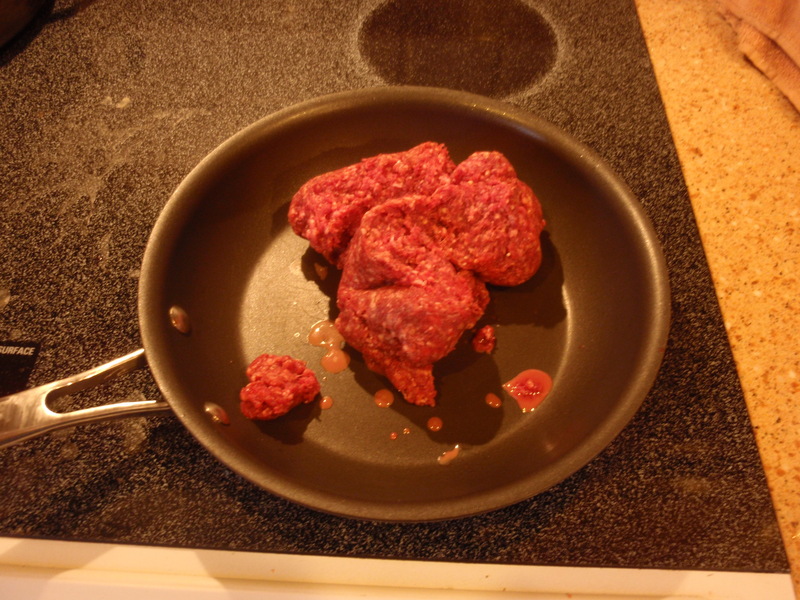 This past Friday, Lisa, the boys and I delivered some ground beef to the restaurant. Anna is always a delight to see. She treated us to some melitzana (eggplant puree) with homemade and warm pitas. The boys ate the stuff like it was candy. We also stayed for lunch. Lisa and I had the gyros and the boys had a chicken breast kabob with a side of seasoned fries. The meal was fantastic! Gardens of Salonica is great because the restaurant has an ambiance of a family dinning room. The day we were there, Anna floated from kitchen to dinning room to tables and back with a huge smile on her face and making sure all her customers we satisfied. This is why we enjoy working with Anna and Lazaros. We are blessed to have found a restaurant that has the same values and beliefs as our family farm. Our family is committed to providing wholesome, healthy products to our customers while keeping our family and the care of animals our top priorities. Anna and Lazaros serve wholesome, healthy meals using the freshest ingredients while keeping their family and their service to their customers their top priorities. So the next time you are looking for a great restaurant to dine out at, please visit Gardens of Salonica on Fifth Street NE in Minneapolis. They even have take out; so you can have Zweber Farms take out! Thanks Anna for a great lunch!